Complete PCI DSS version 3.2 compliant security policy template. A "Getting Started" document that contains instructions on how to get the most out of your Instant PCI 3.2 Policy. Our introductory pricing - use the promo code PCIDSS10 for a 10% discount. Current Special Price: $629.10. 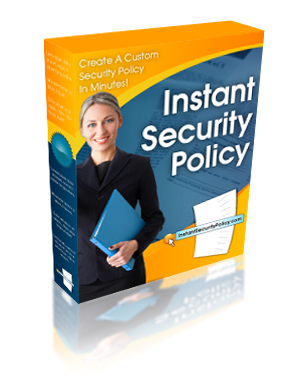 Over 135 pages of IT security policies containing hundreds of policy statements, loaded with information to share with auditors, use as an IT security manual, or set company policy. Our 30-day, 100% satisfaction guarantee. We don't think you'll need to use it based on our 99.5% customer satisfaction rate, but rest assured that if you aren't satisfied with your purchase we'll give you your money back. Please accept my payment and immediately allow me access to my Instant PCI 3.2 Policy. You will receive the most recent PCI 3.2 policy to replace PCI 3.0 policies, PCI 3.1 policies, or earlier policies.